Visiting Bridal Galleria for my second dress fitting. 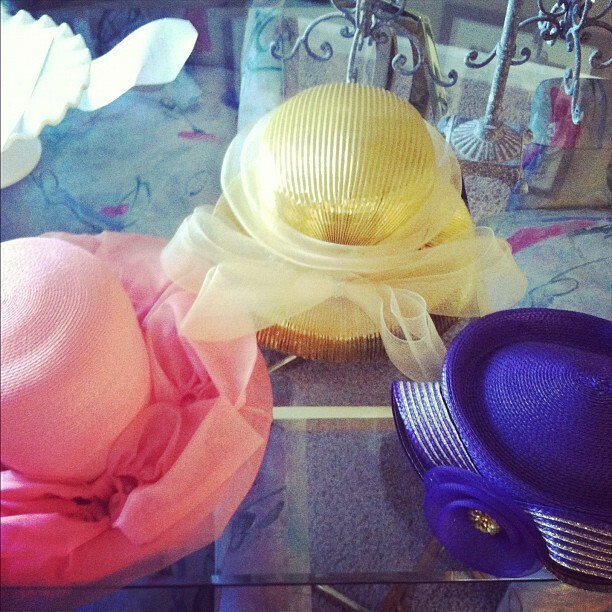 Scoring these funky hats for our photo booth at the wedding. Enjoying an evening of wine & cheese with friends. Admiring my lazy work assistant, Lucca. Loving my new Pour La Victoire (c/o) wedges. 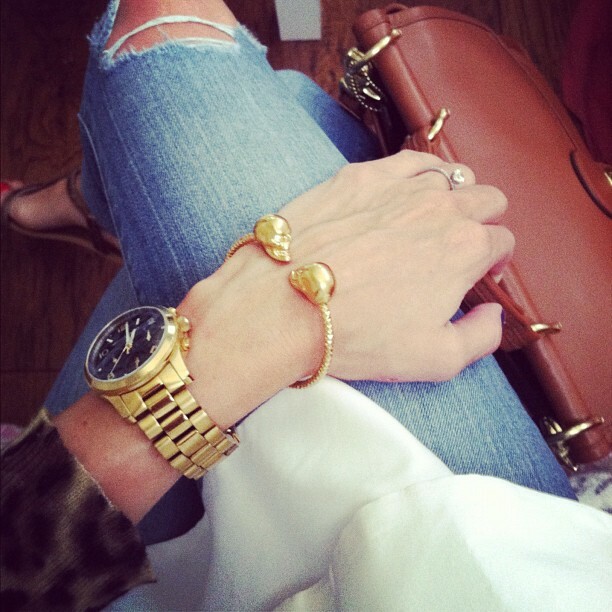 Wearing a Zara top, Michael Kors watch, McQueen bracelet, and Coach bag. Ooh I really like the black face of your MK watch! And is that a HM chair or a similar version? If it's a cheaper version, I would love to know where you bought it! The watch and the bracelet is great! Those wedges are so cute. Love the color. 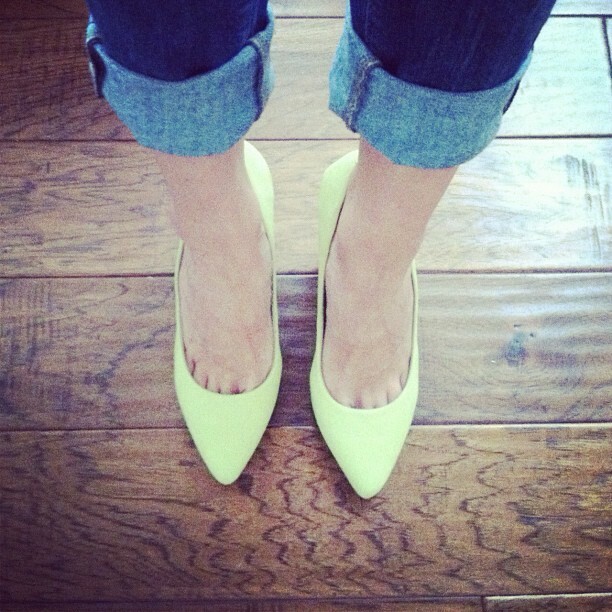 Those yellow wedges are so fun...just love them! I am loving this pictures ! And your dog is so sweet ! I have a boxer , she is my faithful fellow and gives me lot of love and joy ! 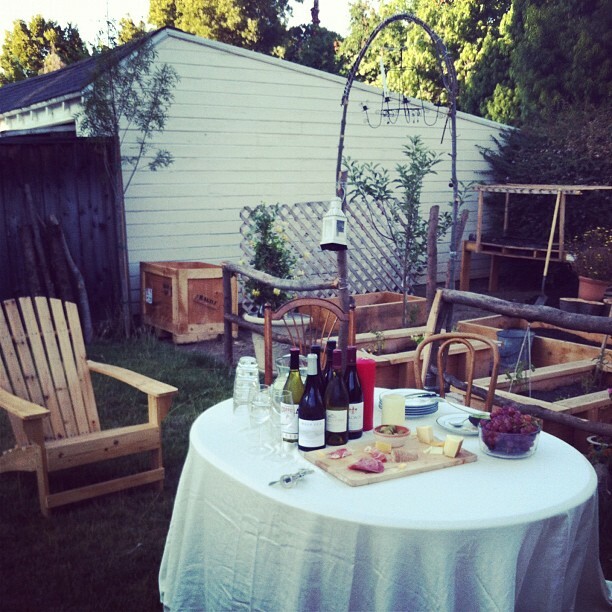 Wine and cheese night- I definitely need to do that. And I love the McQueen skull bracelet. Happy weekend! The Alexander McQueen bracelet is awesome. I've been looking at the MadeByGirl one...congrats on your second dress fitting!! Doesn't it make it real to see it fitted to you!? It made me feel like the dress was really mine. And in the back of one of your pictures, you've made me kind of want a little gold pig. I just can't wait to see your actual wedding dress, I know it's going to be amazing! 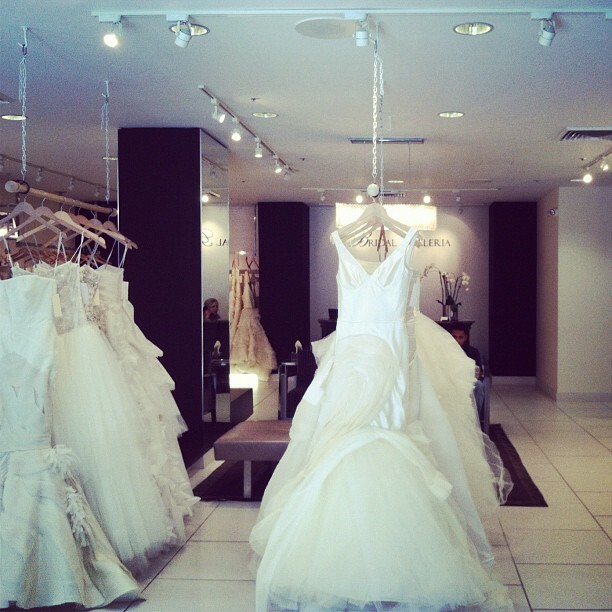 Aww I absolutely love bridal stores! Looks like so much fun! Ooh, love that McQueen bracelet! Aw, that photo booth is going to be so fun! Love the hats! What a beautiful wedding dress!that photo booth is going to be so fun! Love the hats! I just love your style. The wedding dress is so beautiful and the shoes are gorgeous!! Congratulations on all the wonderful things that are happening to you. That’s truly amazing!! Lovely outfit! The pictures are great and I love the bokeh on most of them especially the second one. That dress is gorgeous! I can't wait to see yours. Your watch is so beautiful,and I really want to know where I can get one! Everything is just so beautiful. Love your fashion taste. Great snapshots, that gown is stunning! I love the wedding cloths! !it's so nice!! What a precious wedding dress! I love it. these images are perfect, you both look fabulous and the scenery is just amazing! Love your snapshots! Nice bracelet! I've been eyeing your Pour la Victoire wedges on shopbop. They are so cute! The hats are absolutely amazing! I want one of it. The pics are so nice!Thanks for sharing!And I like the watch!! 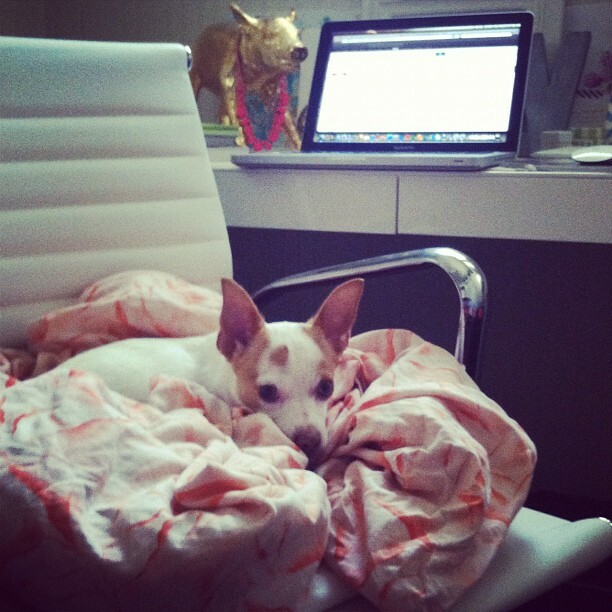 I really like your white chair / Lucca's bed! Where is it from? Once again unbeliable!! Great looks and nice pictures! So jealous, can't wait to go wedding dress shopping one day! Love your blog btw! Absolutely stunning, thanks for sharing. I had to share it myself! I am in love with your McQueen bracelet! Gorgeous pictures! beautiful wedding dress! Great collections and colours of hats i like all blue,yellow and red hats.